The FMIG leader meetings are held a few weeks before each quarter, except for summer. This is when leaders are chosen (self-selected) for the projects in the upcoming quarter and is the best way to get involved in FMIG leadership. The FMIG offers two brown bag lunches each month, when possible. One of the brown bags is open-ended and provides a chance for members, leaders, and other interested parties to check in or simply learn more about us. These are also a great time for new students to get involved and/or find out more about FMIG. The other brown bag each month is topic-driven with invited guests, including family medicine residents and faculty. Topics have included research opportunities in family medicine, leadership opportunities in family medicine, the Patient-Centered Medical Home, Sports Medicine, OB Care in Family Medicine, and practice opportunities in family medicine. Panel: What is a Family Doc? Three to five family doctors are invited to discuss their roles in family medicine (academic, private, and public sectors), lifestyles, and the exciting changes in primary care and family medicine. Students have the opportunity to ask questions during the event to become more familiar with the discipline of family medicine and the opportunities it offers. National Primary Care Week is an annual event put on by the American Medical Student Association (AMSA). The FMIG partners with other student organizations to offer events related to primary care. Prior events have included a physician panel, brown bag discussions, film showings, and a primary care social. One or more residents meet to discuss the basics of family medicine residency, including the variations and similarities in training between programs. Student questions guide the discussion. 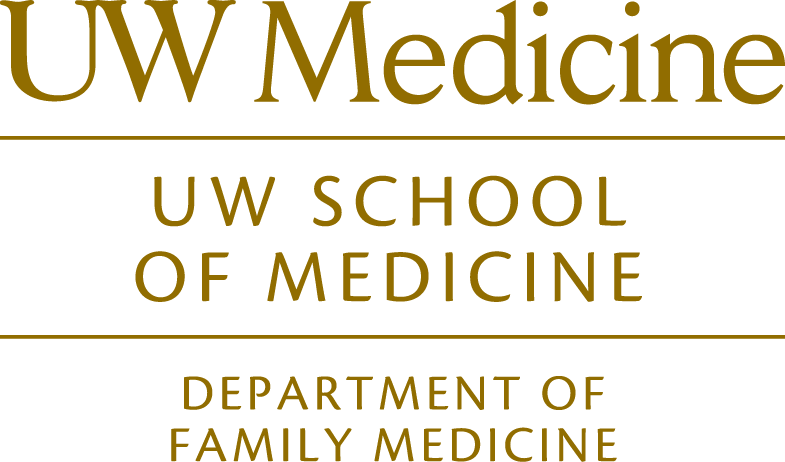 Each year this reception dinner honors all of the graduating UW Medical Students who matched in a family medicine residency. Students are invited to bring their families and enjoy the evening with their peers before departing medical school. Local family physicians from the UW Dept. of Family Medicine, Washington Academy of Family Physicians, and King County Family Physicians are also invited to attend and welcome their new colleagues to the discipline.